Background/Purpose: Many studies have shown disparity between clinical and ultrasound (US) findings in rheumatoid arthritis (RA). US appears to detect subclinical synovitis in patients in clinical remission. The aim of the present study was to compare clinical and US activity in patients with RA in clinical remission, applying different US definitions of an active joint, and to evaluate whether replacing clinical by US assessment would change patients’ disease activity state. Methods: We included consecutive patients with RA according to 2010 ACR/EULAR criteria in clinical remission by DAS28 (<2.6). US examinations were performed by the same rheumatologist, using a MyLab 70 machine equipped with 6-18 MHz broad band multi-frequency linear transducer. The following 20 joints of both hands were assessed: wrist, first to fifth MCP joints and second to fifth proximal PIP joints. Power Doppler (PD) US signal was evaluated on a semi-quantitative scale from 0 to 3 (0= no PD signal; 1= a single PD signal; 2= confluent PD signal in less than 50% of intra-articular area; 3= PD signal in more than 50% of intra-articular area). Three different US DAS28 (US DAS28) were constructed, replacing the clinical swollen joint count by the PD US joint count (clinical examination was used for joints not included in US assessment) using PD grade ≥ 1, ≥ 2 or ≥ 3, respectively. Results: Eighty six patients were included. Sixty-five (75.5%) were female; mean age (SD) was 58.5 (13.8) years; and mean disease duration (SD) was 7.2 (7.9) years. Mean DAS28 (SD) was 2.1 (0.37). Twenty-three (26.7%) patients had at least one joint with abnormal vascularization by PD US (PD ≥ 1). Among these, 14 (60.8%) had only one joint with abnormal vascularization by PD ≥ 1; 6 (26.1%) had two; 2 (8.7%) had three and 1 (4.3%) had four. Mean (SD) US DAS28 were 2.18 (0.47); 2.16 (0.45) and 2.1 (0.4) using the number of joints with PD grade ≥ 1; ≥2 and ≥3, respectively. Thirteen out of 86 (15%) patients were reclassified to low disease activity using US DAS28 with PD ≥ 1. Using US DAS28 with PD ≥ 2, only nine (10.5%) patients were reclassified to low disease activity, and US DAS28 with PD ≥ 3 did not reclassify any patient. No patients were reclassified into moderate or high disease activity using any of PD grades (Table). Correlation between clinical DAS28 and US DAS28 was excellent (Spearman’s rho: 0.8271; 0.8470 and 0.8701 for US DAS28 using PDUS grade ≥ 1; ≥ 2 and ≥3, respectively). Table. Clinical and US DAS28 scores in patients with at least one joint with PD signal. PGA: patient global assessment; ESR: erythrosedimentation rate. Conclusion: Although around one quarter of patients with RA in clinical remission showed PD US features indicating residual activity, a low percentage of these patients were reclassified to a DAS28 low disease activity state, and none to either moderate or high disease activity, using PD US assessment. There was a very good correlation between clinical and US assessment. Disclosure: F. Vergara, None; S. Ruta, None; M. D. L. A. Gallardo, None; E. Bertiller, None; J. Marin, None; J. Rosa, None; R. Garcia-Monaco, None; E. R. Soriano, Abbvie; Janssen; UCB; Roche; Bristol Myers Squibb, 2,Abbvie; UCB; Janssen; Roche; Bristol Myers Squibb; Pfizer; Novartis, 8. Vergara F, Ruta S, Gallardo MDLA, Bertiller E, Marin J, Rosa J, Garcia-Monaco R, Soriano ER. Power Doppler Ultrasound Features in Rheumatoid Arthritis Patients in Clinical Remission: Reclassifying Disease Activity? [abstract]. Arthritis Rheumatol. 2015; 67 (suppl 10). 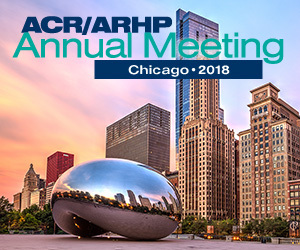 https://acrabstracts.org/abstract/power-doppler-ultrasound-features-in-rheumatoid-arthritis-patients-in-clinical-remission-reclassifying-disease-activity/. Accessed April 22, 2019.